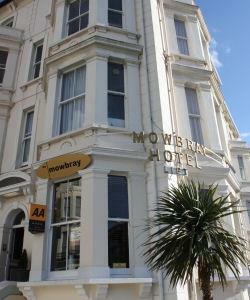 The Mowbray Guest AccommodationA FRIENDLY welcome is assured, as confirmed by the AA when in June 2009 the Mowbray was one of only 20 AA Guest Accommodations in the UK selected from 4,000 to reach the final of the AA's Friendliest Landlady Award 2009. The Mowbray sometimes limits bookings to 5 or more days. Double sometimes limits bookings to 5 or more days. Superior Plus sometimes limits bookings to 5 or more days.